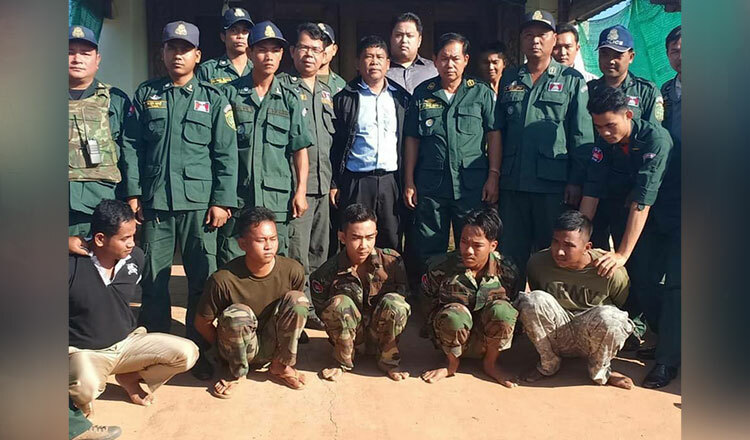 Five men posing as soldiers were arrested on Tuesday for kidnapping two Thai women in Preah Vihear province’s Choam Ksan district. According to a police report, two Thai women, Bunharn Tipawan, 27, and Supyokeaw Nawarat, 22, arrived in Cambodia on Sunday. While they were taking a tuk-tuk from Siem Reap Airport to their hotel,men driving a truck that seemed to belong to RCAF blocked the road and kidnapped them. The accused men then forced the two women to phone their families in Thailand and transfer money to them to secure their release. After receiving photos of the two women kidnapped, the families filed a complaint to Thai authorities and the Cambodian embassy in Thailand seeking intervention from Cambodian National Police. 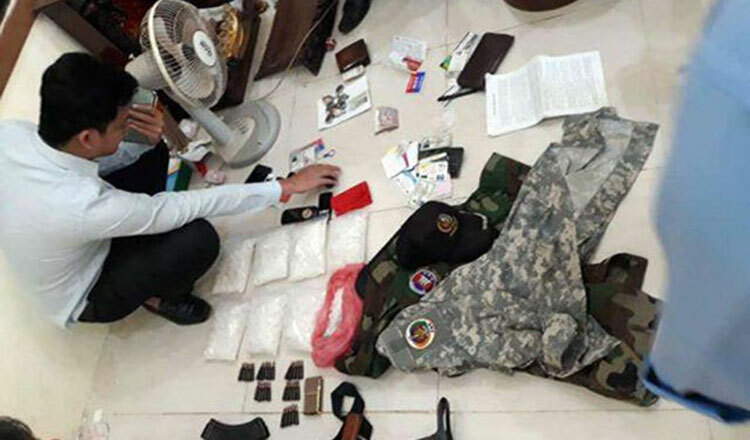 Major General Yin Chamnan, provincial police chief, yesterday said the five men were arrested on Tuesday during a large-scale operation that included more than 30 police officers to ensure that the two Thai women were safe. “The accused men wore soldier uniforms, but they were not soldiers. They impersonated soldiers and used an RCAF pickup truck for their operation,” he said. Maj Gen Chamnan said police seized the pickup truck, a motorbike, one assault rifle and a number of bullets following the arrests. The accused men and the two Thai women were then brought to Phnom Penh for questioning by the National Police yesterday. Deputy National Police chief General Chhay Sinarith said police will conduct further investigations on the case, noting they suspect more people were involved in the kidnapping. “Our police will continue the investigation since we suspect there is a mastermind and companions behind this kidnapping operation,” he said.